The Little Girl Who Could….and Would! In 1957 the young 15 year-old girl was overcome by what she had just experienced…. The girl’s friend – a classmate at their New York high school invited her to come along with him to see an Alan Freed’s 1955 “Easter Jubilee” which took place at the Brooklyn Paramount Theater. The lineup that day included Count Basie’s band without the Count to provide backing for all the featured acts – those being The Penguins, The Moonglows, The Clovers, Red Prysock, Danny Overbea, LaVern Baker, Mickey Baker (of Mickey and Sylvia and “Love Is Strange” fame) and B.B. King. Remember this was 1955 and so there was still plenty of wiggle room for acts such as Prysock and Overbea on a bill with the doo wop groups. 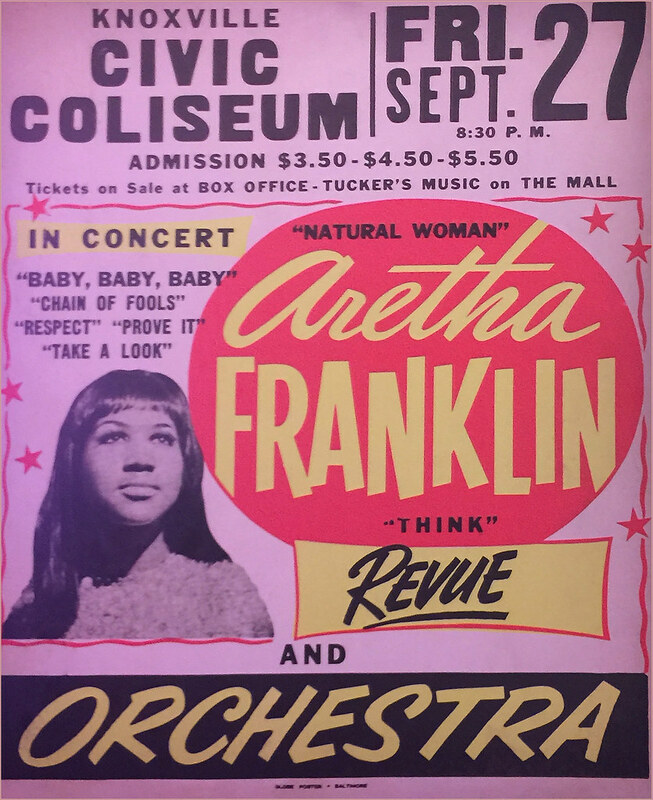 The poster shown here doesn’t exactly match up with the concert that our little teen sat through but the “Jubilee” did run for a full week – and acts would come and go. It was the first time she had been in close contact with black teenagers and was surprised when whites and blacks sat together to watch a concert. Our teenager came away a convert to rock and roll. And it was not long after this that she approached her father – a New York City fireman, and said she wanted to meet Alan Freed. She never imagined that her dad would jump on the phone and in short order set up a meeting. She was stunned and excited – and a few days later she did indeed find herself seated next to Freed at radio station WINS, listening to him dole out advice on getting your songs heard. She had composed a few songs which were performed by her high school quartet in talent shows and the like (including the Ted Mack Amateur Hour) – Her group consisted of three other classmates – a girl and two boys and they took the name “The Cosines”. Alan’s advice was for her to get a phone book yellow pages and work her way through the recording companies – Give them a call – and try to set up a meeting. And then in passing he mentioned two gentlemen – “Jerry” and “Ahmet” of Atlantic Records. Our girl thought she could attempt to make an appointment with a cold call or could do one better. Just go to Atlantic and walk in which is exactly what she did – now 16 years old. 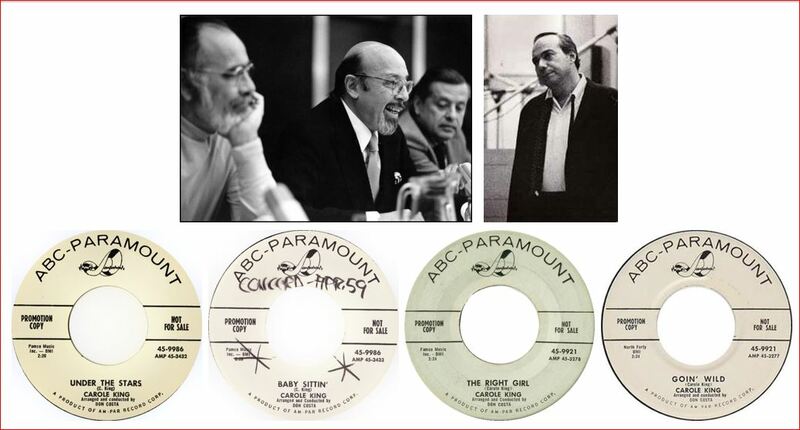 The receptionist was polite and a little surprised when the young lady said “Is anybody available to listen to my songs?” She was informed that Jerry Wexler and Ahmet Ertegun were generally very busy but in short order – YIKES! – Both of them came to the lobby introduced themselves and brought her into a room equipped with a piano. She was invited to ‘show ’em what she had”. She played her first song. They asked her to play more and she banged out another three or four – all that she had. They thanked her, told her that ‘she had talent’ and invited her to come back when she had more songs. She left their office a bit crestfallen but being young and optimistic – fully recovered by the time she reached the front door. She told herself “Well, at least they didn’t say ‘don’t call us – we’ll call you”. And almost as immediately as arriving back home in Brooklyn, she made up her mind to make her next call – this time on the phone. 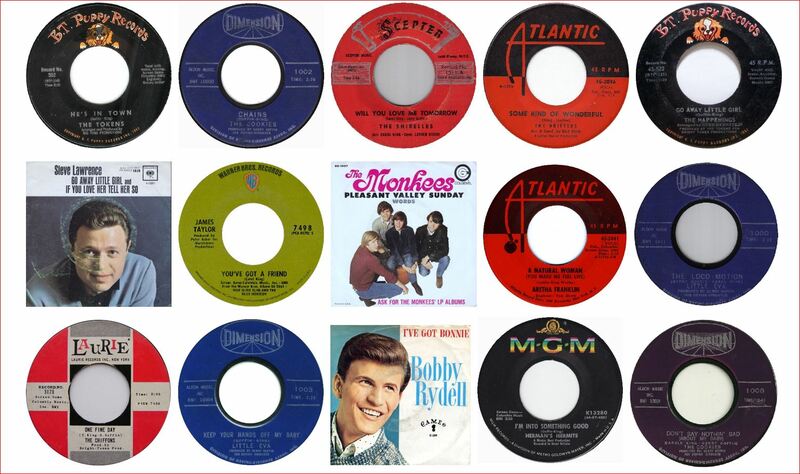 She picked out ABC-Paramount Records based on the fact that a very young – as young as she – Paul Anka – had just hit it big with the record label. She made the phone call and landed an appointment with none less than the label’s premier talent man – Don Costa. Don asked her to play her first song and then when she finished he asked her to play her next – and her next – and her next – each time not showing any emotion or visible reaction. She finally finished her last song – It was quite – She was ready to be shown the door. Instead – she was presented with a recording contract! 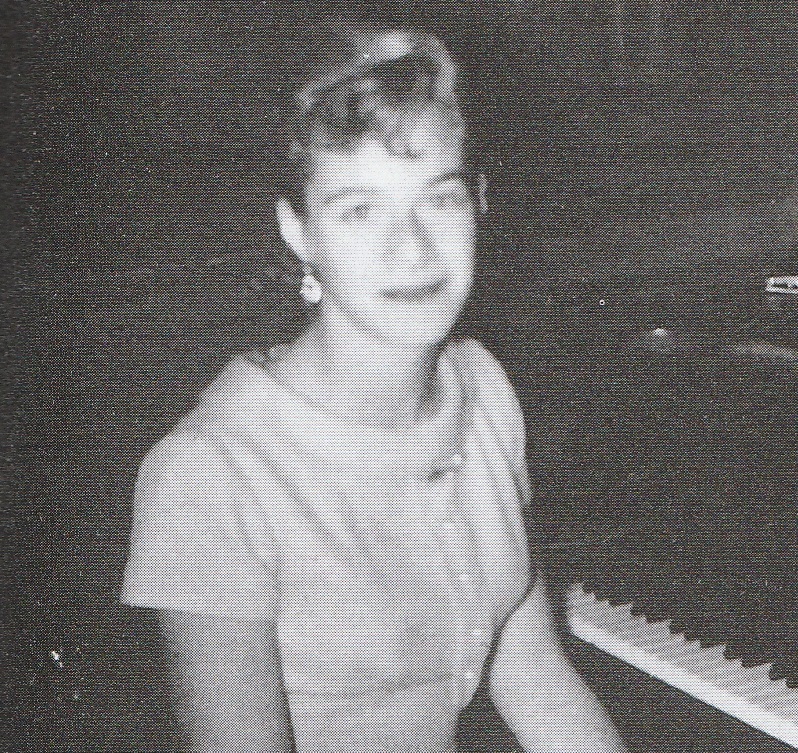 Carole King, age 16 – was on her way! 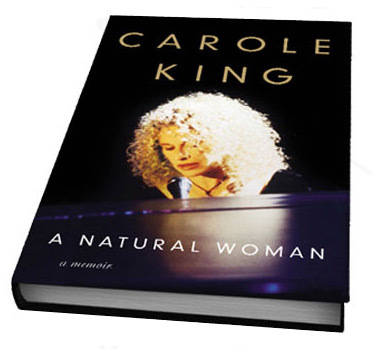 I am in the middle of Carole’s autobiography published first in 2012 titled “Carole King – A Natural Woman”. 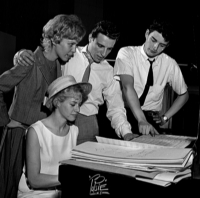 It is fun taking Carole’s journey with her and writing companion/husband – Gerry Goffin – Their signing on with Aldon Music and Donnie Kirshner – Working at 1650 Broadway – just down the street from the actual “Brill Building” – working along side with and competing with man and wife team and life long friends Barry Mann and Cynthia Weil – Enjoying a tremendous run of hits starting with the Shirelles’ monster hit “Will You Love Me Tomorrow” King and Goffin’s first number 1 – Hiring a singing baby sitter – who – according to Carole – was not discovered by them – but who as a 17 year-old – had sung back up for them on many of their demos – before stepping up to the microphone to record “The Loco Motion” a song intended for Dee Sharp but rejected by Cameo-Parkway – who informed the couple – “We have our own writers”. I had thought that Goffin and King – Mann and Weil had probably very close contact – and may have – with the composing team of Ellie Greenwich and Jeff Barry but those two were not part of the Aldon team. 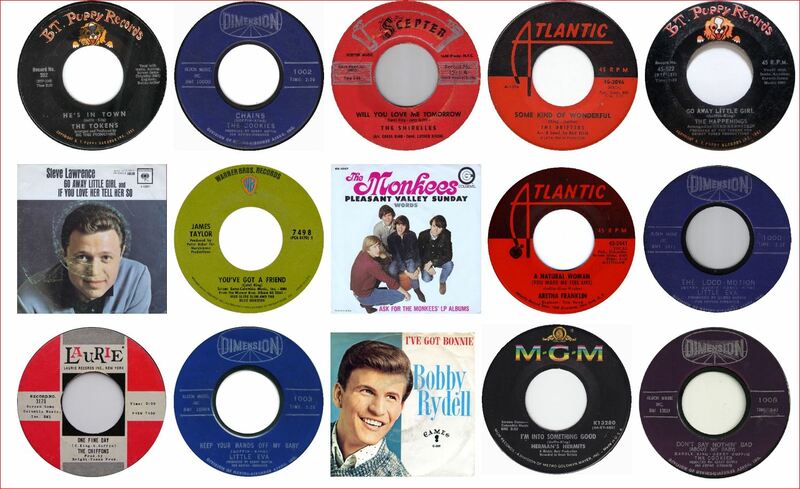 Something I did learn was that back then most often the composers of the “B” side (non-hit side) of a record, received equal royalties as received by the “A” side composer/s – no distinction. That makes me feel a little better for all those struggling writers…. Carole paints a vivid picture of the early days and the ‘Brill Building’ atmosphere at 1650 Broadway. The true Brill Building was located at 1619 Broadway. Kirshner housed his writing teams under the “Aldon” banner at 1650 which – as Carole explains, was actually was situated with it’s main entrance located on an adjacent street – but she further explains that to be ‘hip’ in the New York Music publishing industry – a Broadway address was a must. 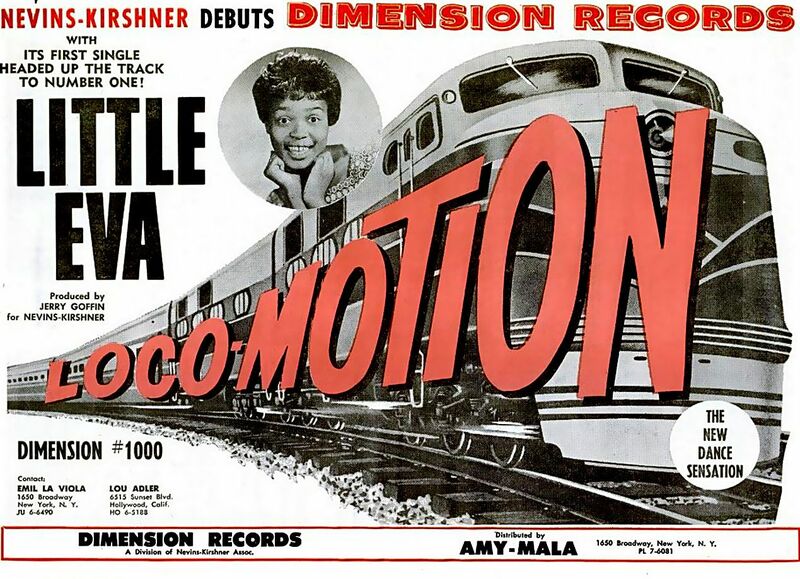 And as far as a song without a dance to go with it – during a promotional photo shoot for “Locomotion” – while posing – Little Eva improvised a movement with her arms simulating the drive of a train locomotive – the kids on Bandstand picked up on it – a dance was born and “Locomotion sailed into the top position on Billboard and remained there for seven weeks. Meanwhile Dee Dee Sharp was getting “Gravy” on her mashed potatoes! Carole King was pressured by Kirshner to not only record a song Carole had targeted for Bobby Vee, but to hit the road to promote it. This was something she absolutely refused to do – being not only a professional songwriter but a full-time mother with lots of housework demanding her attention. She finally gave in to the pleas of Donnie and her husband Gerry and appeared on the show – very nervous – She came away depressed – “It Might As Well Rain Until September” received very low marks from the Bandstand regulars – only a 43 score out of 100. On her train ride home from Philadelphia Carole vowed never to make another appearance to promote a song – and was probably more than a bit surprised when “Might as Well Rain..” reached number 22 on Billboard! 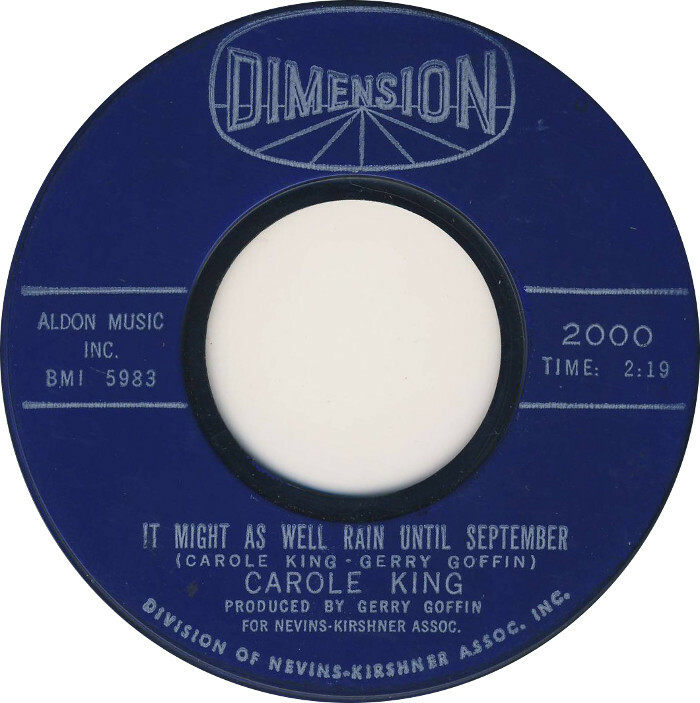 Carole would release two more Dimension singles and would then return to her composing job – until that not too long time down the road when she would re-invent herself in a big way. Her marriage to her writing partner (lyrics) Gerry Goffin whom after a good marriage for the most part – began to unravel when he and she started to go in different directions – brought on in part by Gerry’s journey’s to California and the rapidly changing societal landscape in America and the dramatic events accompanying that change. By 1968 Carole and Gerry came to an impasse culminating with his departure to California unaccompanied by Carole and their two daughters. A divorce would quickly follow. Carole found herself facing a very uncertain future both as a single mother and as composer of songs. How would she continue on without the lyrical ‘genius’ by her side – working as the hit-team machine? The answer would be found in California – Carole made the move with her daughters following Gerry’s move – establishing a household in the artist community of Laurel Canyon – which placed her in close proximity with Colgems and her future career. And it would be in the land of sunshine and perpetual summer that Carole would discover what she was truly capable of. I have to finish the book and will then Post a Carole King Part Two.